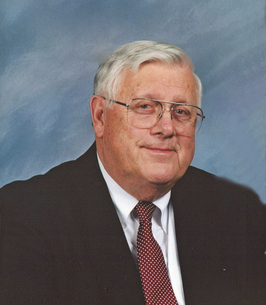 R. Brown Service Details - Mifflintown, Pennsylvania | Brown Funeral Homes, Inc.
Obituary for R. Bradford "Brad" Brown Jr.
R. Bradford “Brad” Brown Jr., 90, of Mifflintown passed away at 11:18 a.m., Thursday, September 13, 2018 at the Bridges at Brookline, Mifflintown. Born on September 29, 1927, in Mifflintown, Juniata County, he was the son of the late R. Bradford Sr. and Mabel C. (Galbraith) Brown. On July 18, 1953, he married his late wife Barbra Jo (Heck) Brown, with whom he was blessed to share exactly 52 years of marriage before her passing on July 18, 2005. In addition to his parents, two sons, Bradford G. “BG” Brown and Matthew H. Brown, in infancy, preceded him in death, as did a grandson, Andrew Mark Phenicie, also in infancy. He was a 1945 graduate of Juniata Joint High School and a 1946 graduate of the Cincinnati School of Embalming. As a proud veteran he honorably served our country in the United States Army during the Korean War. His past professional memberships included the National Funeral Directors Assoc., the Pennsylvania Funeral Directors Assoc. and the Juniata Valley Funeral Directors Assoc. He is a member and elder of the Westminster United Presbyterian Church, Mifflintown, a member of the Mifflintown Hose Co. No. 1 and the Union Lodge No. 324 F&AM, Mifflintown. He was the last surviving founding member of the Mifflintown Lions Club, where he had served as president and he was awarded the prestigious Melvin Jones Fellowship award. 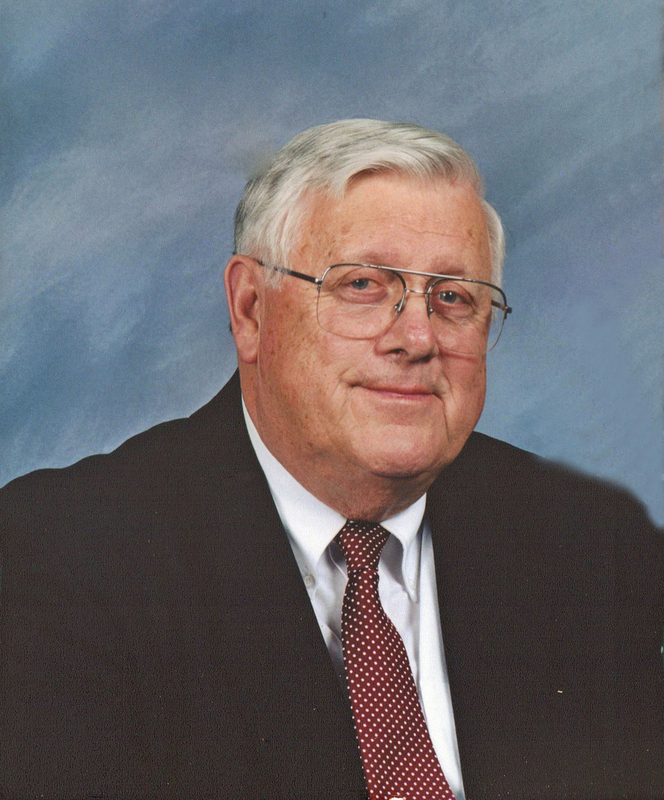 He also served as the vice president of the Juniata County School Board and on the board of the Tuscarora Intermediate Unit 11. Mr. Brown was a self-employed funeral director, having owned and operated the Brown Funeral Home, Mifflintown. He served as the fourth generation and eighth funeral director of the Brown family since its inception in 1845. Brad and his late wife enjoyed traveling both in the United States and in Europe. Brad was an avid fixture on the golf course at Lost Creek for many years, and he was an ardent Phillies and Eagles fan. Brad was a proud husband, father and grandfather who cherished his time spent with his family. He was better known as Pada to his grandchildren, who will fondly remember his love of sharing a “good bite” and telling bad jokes. A viewing will be held from 6 – 8 p.m. on Saturday, September 15, 2018 at the funeral home. The family will provide all funeral flowers and kindly ask that memorial donations in Mr. Brown’s memory may be made to the Westminster United Presbyterian Church, 209 Lemon St., Mifflintown, PA 17059 or to the Juniata County Food Pantry, P.O. Box 44, Mifflintown, PA 17059. To send flowers to the family of R. Bradford "Brad" Brown Jr., please visit our Heartfelt Sympathies Store. We encourage you to share any memorable photos or stories about R. . All tributes placed on and purchased through this memorial website will remain on in perpetuity for future generations. Dear Kelly, So very sorry to hear about your Dad. He was a great man. You and your brothers are in my prayers. Thoughts and prayers for all of you. So sorry for your loss. My sincere condolences to you all. As I watched the video one thing came to mind -- how lucky you all are to have had such a wonderful father (and mother), grandfather (and grandmother). May the memories give you all strength and joy in the days and years to come. Prayers to the Brown family. Our deepest sympathies to Dan and family, Bob, and the entire Brown family. He was always fun and funny with an irrepressible outgoing personality. He could relate verbally to anybody and everybody. We had much respect for him, his community service and how he conducted his life. Wishing comfort and peace to all at this difficult time. We have known Brad for many years,and will miss him and his wonderful sense of humor.